Going to Iceland? Great choice! I have some advice about driving around the island, and what challenges await you. Especially if you are taking my 14 days road trip around Iceland, the hints here will be very useful! The country has no trains. Buses are almost non-existent. Hitchhiking (although possible) can be frustrating, as there are not that many empty cars passing by. There is no better way to explore this over 100 000 square km (40 000 square miles) island than by car! 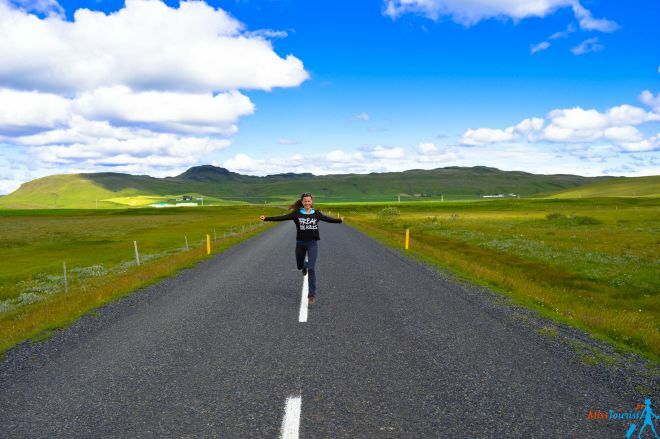 I loved traveling this way in Iceland in particular because it gives you the freedom to choose your own route and the flexibility of doing things at the pace that is convenient to you. 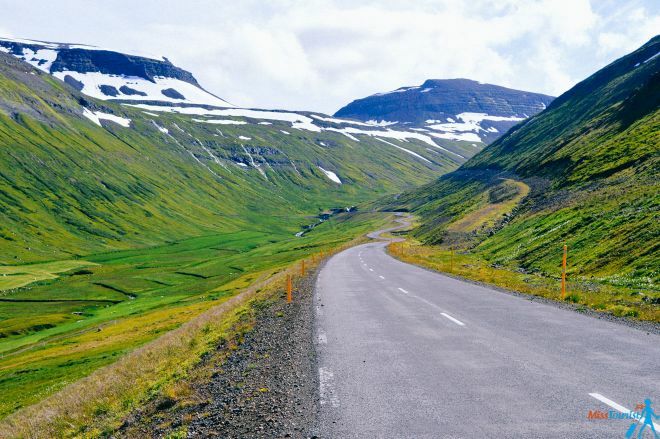 Not to mention that Icelandic roads take you to some out-of-this-world landscapes! 1. 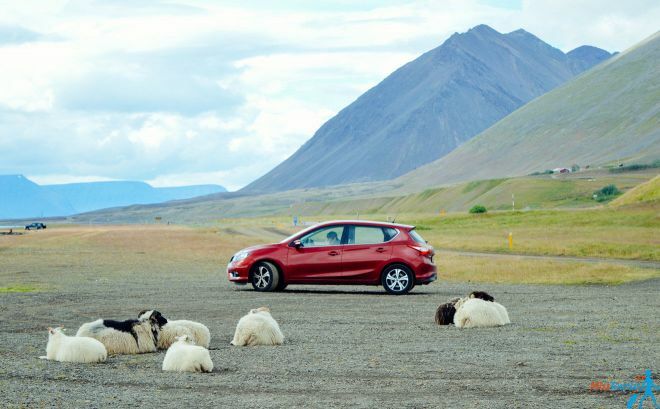 Think ahead when renting a car in Iceland! 2. Get that extra insurance! I have put together a guide on how to rent a car, which type of car you should choose depending on your trip and activates. It compares rates for car rental companies in Iceland – both International chains and reputable local companies. They also offer low rate guarantee! Everybody told me before the trip: “Driving in Iceland has nothing to do with driving wherever you are from” and I can only repeat it to you now. But don’t worry, there is nothing to be scared of, it’s just a bit different. Keep reading and you will be fine! Each year more and more tourists come to the country of ice. Even though there are many car rental companies in Iceland (mostly in Reykjavik), the most efficient cost/performance options will be sold out quickly. You want to be among the ones who got the best deal, right? If you know for sure you are going, booking in advance (even a year in advance!) is the best option, especially if you are visiting in the high season! Remember, if you rent with AutoEurope or RentalCars you can always cancel with no charges, but booking last minute will not get you a good deal. The longer in advance you manage to book it, the cheaper your car hire will be. There is no such thing as a last minute deal in Iceland, trust me! See Bonus 2 below to choose the most convenient car type for you and for the type of trip you are going to do. As I said earlier, the more in advance you book, the more options you will have to choose from. This might be obvious, but if you want to further reduce on the cor hire cost, invite your friends to join the trip! You will benefit twice by sharing this amazing journey with people you love, and reduce the cost per person of transportation! NOTE: You’ll need some items for this trip and it’s a lot better if you can buy them from home. Iceland is very expensive compared to any country I’ve been to, so I think getting some items at home might save you a lot of money you can later use for your fuel! A good waterproof and winbreaker jacket – a must have in Iceland, I’ve been there in August and although it was the summer, it was cold, raining and windy almost everyday. Hiking boots – you’ll need a good comfortable pair, and the prices for these in Reykjavik were plain scary. A thermos – sometimes you’ll go for hours without finding a place to take a coffee or tea, and I love tea! This was one of my most used items. A GPS device – it will be at least 10-15USD per day if you rent one, this way you can bring your own and use it back home as well! PRO TIP: Most car hire companies are located directly in Keflavik Airport (which is the name of the Reykjavik International Airport). Taking a car as soon as you land makes sense because getting to Reykjavik city is about 11 EUR per person. Or, maybe the company you chose offers free transfer from the airport to their office? If not, how much will it cost? The company I used and can highly recommend (Lagoon Car Rental) has an office about 5 minutes driving away from the airport. They were waiting for us with the sign and gave us a ride to the office free of charge! So, you chose your best car rental and you are ready to go exploring? Great! 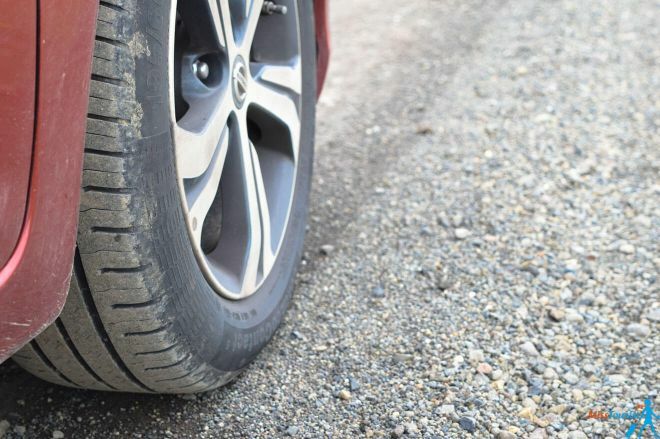 Now, don’t argue and get the gravel road insurance (consider ash and ice insurance if you are going in the winter or in an areas with much volcanic ash). Below is a hack on how to significantly lower your insurance price, read on. Gravel roads are roads that are good enough to drive on (and usually lead to a spectacular natural wonder! ), but they are full of little rocks. It only takes one little rock thrown on the body of your car, or worse – on your windshield, to open a crack that will make you good to pay for a new windshield/paint job. The same goes for the ash and ice in high winds. Those act exactly like rocks and can damage your car in no time. If you do need to buy the insurance, use Bonzah. Bonzah is a third-party insurance provider that has MUCH better rates than the car hire company directly – about 8 US$ a day on average instead of 30 USA that we paid per day. NOTE: Make sure to buy it BEFORE you start driving, otherwise it will not work. If you are not from the US (I know the feeling, I am from Russia) and there is no insurance coverage by your bank etc, you can buy the extra insurance online when booking your car. I know it is more pricey, but better safe then sorry! when driving in a column, keep a distance from the car in front large enough so that the rocks throw with their rear tires don’t reach your hood or windshield. You can also opt for theft insurance, but to be honest, Iceland is a very safe country, and most of the cars have GPS trackers. Not to mention we are talking about an island. Thefts are rare, if any. It’s up to you if you want to get the theft insurance, I just laid out the facts for you. Did you think it was that easy?! Like in a Super Mario game, you will encounter all kind of fauna that wants to delay you! 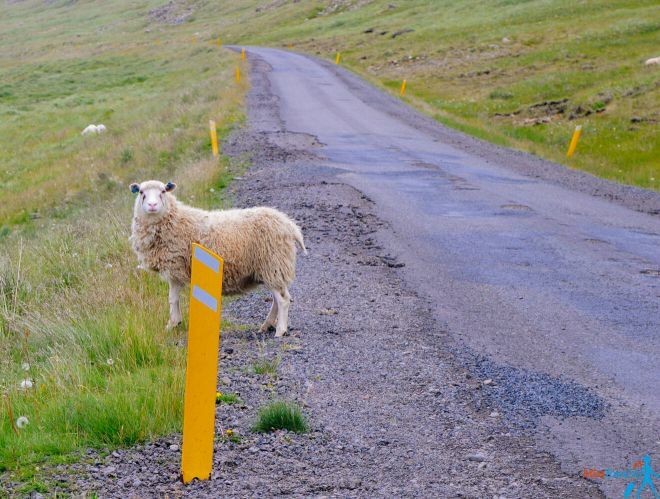 Iceland has many sheep roaming free in the warm season. In fact, once you get out of the Golden Circle, you will probably meet more sheep than people! They are free to graze wherever they please, and that means they will cross the roads sometimes (many times!). Whenever you see sheep nearby, I strongly suggest to slow down and pay extra attention. An angry ram can damage your car, or, as stories goes, people have flipped cars with their wheels up trying to avoid sheep. Same goes for horses, who are sometimes moved around pastures on the roads, and even birds which fly low. 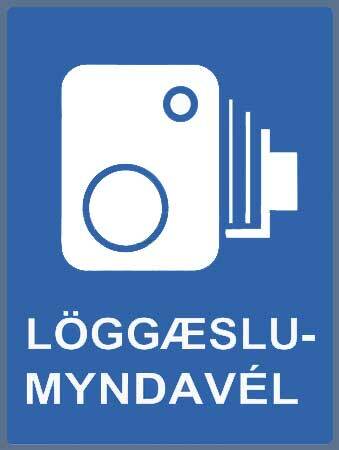 Iceland has a number of fixed speed traps and police cars which patrol the ring-road are equipped with mobile detectors. And now I will share with you the ultimate way of avoiding fixed and mobile cameras. Are you ready? The best ways to avoid getting a speed fine is staying within the speed limit (which is 90 km/h outside localities). Hah, bet you did not see that one coming! This is the sign you should be looking out of. It can also be black and white. Even if you will get a fine, you will not know right away, but your rental company will charge your credit card with an unpleasant surprise a few weeks after your trip. We do not want that to happen, right? The fines are large, so you should really consider this point. The fixed cameras are always signaled a few hundreds of meters before you will encounter them. There is a specific sign letting you know there will be a detector well in advance, so keep your eyes open! Depending on which road you are taking, especially if going through the mountains, check ahead where the next gas station is. Don’t leave it to chance. I remember quite well a 250 km portion, even on the Ring Road, where we encountered no gas stations. My car’s GPS had an option to show me where the closest gas station is, it was really convenient! Keep an eye on the fuel meter, even if it will be a funny story for your friends, it won’t be funny if you can’t move your car in the middle of nowhere on a deserted road. Remember that some car rentals impose mileage limits. This might be really inconvenient if you cover a lot of ground each day, and it can bring your rental cost up. Remember to ask and check ahead if you have chosen such a company to rent. Pro Tip: Many car rentals offer two type of rentals: limited milage or unlimited milage. Usually the difference in rate between the two is small and it represents the difference you would pay if you would make an extra 10km. I would say go for unlimited, unless the limit is somewhere at 250 – 300km per day or if you know exactly how many km (miles) you are going to drive. The company I used, Lagoon Car Rental, did not have any mileage limits, which was one of the main criterias for me when I chose the best car hire in Iceland for my needs. The island-country is full of beautiful spots who just beg you to stop and take a picture. And we are all tempted by this, I also wanted to stop and take a picture literally every 100 meters. When you do, please stop in a place where you do not bother traffic. There are plenty of side roads or parking lots. I have seen many tourists stopping more or less in the middle of the road and casually opening their doors to take pictures. It is quite dangerous, especially as sometimes the roads are narrow. Let’s face it – Iceland has its specific weather. It can be sunny one minute, and heavily raining the next, making everything slippery. Not to mention that you can drive in clear weather and just wake up in a thick layer of fog after a few curves! Keep in mind that the safest ways to tackle the weather conditions in Iceland is to match your speed to the current weather. Sometimes, maybe you will even have to stop for a few minutes, until the visibility comes back or the wind powers down. So, when is it better to go to Iceland? I went in August and I found it to be the best time to visit – you can enjoy a never-ending day, the weather is mild and all the roads (and the attractions are open). True, it is the most touristic season too, but it is touristy for a reason (plus, Iceland is not Paris, you can drive for hours and not meet another car). If you want to avoid higher prices and accommodation, I would suggest going right after the season is over, say, mid-late September, it should be still fine. 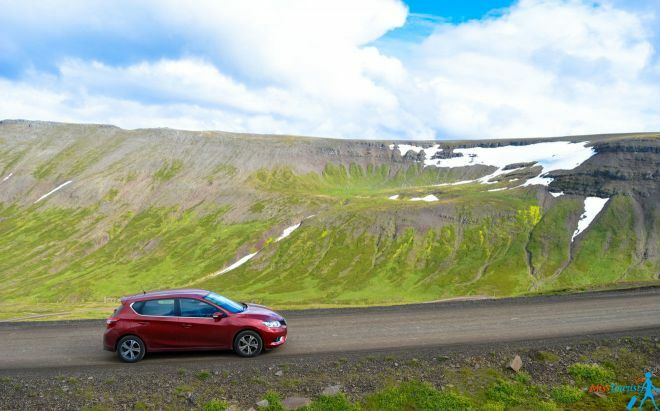 What is the best car rental in Iceland, which is the cheapest car hire? Which type of car to choose? There are so many options! 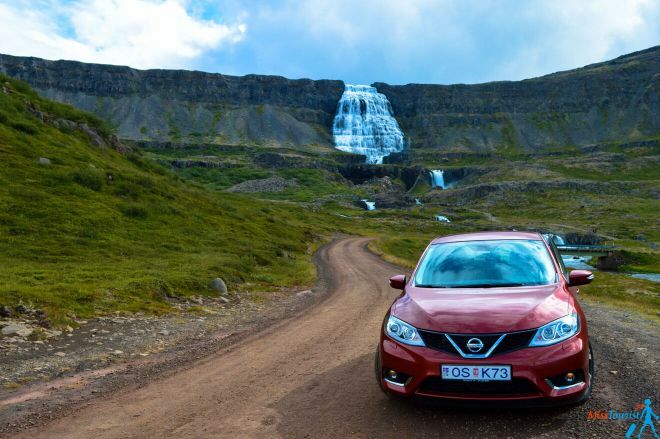 If you only plan one thing about your Iceland trip, then plan the car! As I experienced, there are 3 types of journeys and 3 types of cars suited for them. Let’s see – which one are you? TYPE OF ACTIVITY: Do you like going on hard roads and climbing steep mountain slopes, hike and use your tent to sleep overnight? Do you want to have the ultimate Iceland experience by going through the the middle of the country, and set camp in the mountains instead of sleeping in hotels? RECOMMENDED CAR: you have a choice and one choice only: you need a car that can reach the Icelandic F-roads (a type of road I will describe later). Your choice should be a 4×4 (an all-wheel drive). It is not allowed to bring any other type of car on these F-roads, and for good reason. Of course, the bigger the car, the more interesting and fun it will be, but it depends also on your budget. PRICE PER DAY: 65 -130 euros per day for the cheaper models, or up to 150 -250 per day for the high end options, depending on the season. The closer you get to the peak season (July – August), the more expensive cars can get! TYPE OF ACTIVITY: Are you going to take alternatives routes, or gravel roads to see fjords, waterfalls or other natural wonders only occasionally? RECOMMENDED CAR: a 2WD would suffice. You can choose any of them depending on your budget and the comfort level you are looking for. That was the one that I took. PRICE PER DAY: 50 to 100 euros, again, depending on the model and the season. TYPE OF ACTIVITY: You don’t have much time and will not wander more than the Golden Circle? 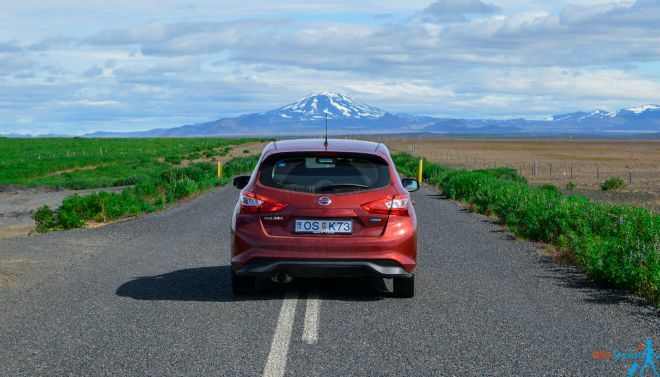 Are you searching for the cheapest car rental in Iceland? PRICE PER DAY: expect to pay anywhere between 35 to 75 euros depending on the model and the season. Ok, even if I did not personally visited Iceland in the cold season (yet! ), I have asked around about the best practices of driving in Iceland in the winter. The scenarios will be very different than in the summer, and it’s very likely you will see Aurora Borealis. Go for a 4×4 car. Remember that the weather can change and you are far up north, so the possibility of heavy snow fall is big. Always check the road.is website. It provides the best report on the road conditions of your route. If you are presented with the option, get studded tires. That will help a lot on the icy roads. Speaking of icy roads, don’t go fast. You are in a new country, you don’t know the roads and where ice could be, keep it safe. Fuel up all the time. Better safe than sorry! Daylight is limited. Make the most of it by driving in the hours with light. Make a stash of snacks, water and even blankets. Iceland is a very developed country, but even there, in case you are stuck, it can take some time until someone reach you. Please don’t sacrifice your safety for financial reasons. There are some great rates for 4×4 cars that you can easily compare for all car rental companies in Iceland in one click here. By following the safety guidelines you are in for a great experience, it will feel like the time stopped, along with the frozen waterfalls! I can’t wait to get back myself in the cold season, so I can see the Aurora Borealis!! Essential packing list for visiting Iceland in the winter time! UPDATE: I have written a detailed blog post about all the items you will need for your Iceland trip, the list is sorted by seasons and your gender, click here to read it! Iceland is an amazingly beautiful country which is best visited by car. Other options exist, such as hitchhiking, but having your own car will give you the freedom to enjoy the country at your own pace and by your own itinerary! As a bonus, you should know that most gas stations have free self car wash. It’s quite well organised and it pays off to clean your car every few days. The roads and the weather in Iceland take their toll on the cars’ exteriors. Last, but not least, even if it might sound expensive, renting a car will always be more efficient than taking day tours. The tours are more expensive and they are far less flexible! Disclosure: Please note that some of the links above are affiliate links, which means I will earn a small commission at no additional cost for you. I only recommend products that I use and love myself, so I know you’ll be in good hands. Thank you for reading my article, I am sure it will be useful in planning your Iceland trip if you read in careful enough! Ask me questions, I am always happy to hear feedback from my readers! how do write all this great advice about renting a car….yet neglect to mention that petrol prices in iceland are some of the very highest…like third…in the world? petrol costs a fortune here, how do you manage to leave that part out? I think i mentioned t, didnt i? Anyway, yes, iceland is definitely not the cheapest country in the world and that includes prices of gasoline too! nope….no mention of it anywhere. you mentioned that gas stations may be few and far between and that’s as close as you got to talking about “petrol.” I realized too late that it will cost three to four times what it costs me here in Washington dc to fill the tank there. I realize this may not count as sticker shock to Europeans but it certainly does to us. i like and appreciate the time and effort you put into your blog. just don’t forget your friends here in America. thank you for the free advice, Yulia. Great blog! The only actual city in Iceland is Reykjavik, its population is less than 120 000 people. The second biggest (Akureyri ) is just 17 000, so you dont have to worry about traffic or anything of that sort. As for the people, they are some of the nicest people I have met, and it reflects on their driving behavior – calm and helpful. 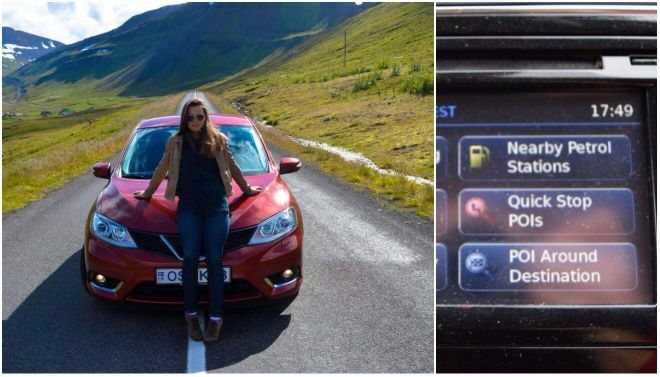 Don’t worry, Iceland is an IDEAL country to drive in! It is smart to rent a car when traveling. I would not want to put the miles on my own car. I would also want to rent a car to get better gas mileage. Please do not stand on the road, like you see in the post above (3 times), to get a silly photograph. That is both dangerous and illegal. You are definitely right, Sigurður! Hi – I am traveling to Iceland in mid-October and would like to know whether the weather at that time would warrant a 4×4 vs. a small economy car. We are planning to visit Reykjavík, the Blue Lagoon, and drive along the Golden Circle to see Þingvellir National Park, Geysir/Strokkur, and Gullfoss Waterfall. Thank you! The places where you are going are very popular among tourists (the Golden circle). It will be safe to say it is totally ok to drive with a small economy car there. You only need 4×4 for off-roads and remote destinations. Absolutely! Also, being in Iceland, it is pretty much your only option if you want to really see the country! A personal guided tour, a coach tour with an open pass, the “Strætó” buses and domestic flights to name a few. But I agree that Iceland is best enjoyed by driving wether it’s by yourself or with a guide. But I highly recommend (should almost be a demand) that you read a lot about it before coming and plan your trip carefully. Many people get in trouble when traveling here and most often because a: they don’t realize how long it takes to drive between places here and b: because they did not plan their accommodations before coming (in summer). That was useful, thanks so much! Thanks for the marvelous posting! I seriously enjoyed reading it, you’re a great author. I will bookmark your blog! Very good article. I’m facing many of these issues, thanks a lot for your help! It was actually very useful as we are planning our trip right now! Thank you for sharing! Fantastic tips and ideas thank you! It seems a little choppy but I was also thinking of sleeping in the car because the cost of the combination is outrageous, did you also do that? Hi and thanks for the comment! While I havent slept in the car, I really understand you, Iceland is definitely far from cheap! Hovewer, there are some budget options if you book in advance or get an airbnb! People also do camping, but I am not sure it is much cheaper than booking a budget place in advance. You are right– it is probably a good idea to make plans on renting a car in advance. I am planning on going next July. It’s in my best interest to start looking now! Thanks for the question. Yes, it does require tremendous amount of work, that people might not see right away. Hi Yulia, thank you so much for your tips! I was looking at planning a trip for Nov, perhaps I should consider next summer instead. I love your blog, it’s very fast and has a cool design (mine is kind of slow since I don’t update it much too). I’ll follow you on Instagram as well. Keep up the good work! Thank you for Advice. Reading your blog helps me save money and time. just wanna ask. What is the common requirements for renting a car? Age/Documents? The general requirement is to be older than 18 and have driving licence B, however, I advice you to double check with each car rental company individually. Thanks a lot, I have finally found all the info in one place! Do you think a 2WD would be ok for december driving, our trips will include the golden circle route for 1 day and a 2 day trip to Vik/Jokulsarlon? I am a bit worried about snow! Good question and this time your worries are well funded. As far as I know, in the winter, the weather is very unpredictable. It can be ok one minute and you can wake up inside a blizzard a few minutes later. Most people would recommend a 4WD and a lot of caution. Remember to keep an eye on the http://www.road.is website. It tells the weather conditions on the roads and it’s very useful, especially in the winter. I am going to Reyjavik mid Nov for 4 nights and looking to hire a car, we will be doing the typical tourist things, Blue lagoon, Golden Circle etc.. no F Road driving, would a basic 2 wheel car suffice? Considering a Toyota Yaris or similar from Sixt, would need to be an auto though as I have completely forgotten how to drive a manual! Yes, 2 wheel will be totally fine for what you want to visit, don’t worry! Sixt is a great company, I’m sure they have plenty of automatic cars there. Enjoy your trip and be sure to let me know if you have more questions! Will 500km be enough for those 5 days? Will get the gravel insurance but do you recommend getting the sand and ash? Yes, I definitely recommend getting sand and ash extras (see above in the post why). I also see the Loss Damage Waiver for Sixt. Do you recommend this on top of the Gravel/Sand and Ash Protection? This really depends on how risk adverse you are and your budget allows it. I did not take it. This is a very useful site, it has answered many of my questions. I am planning a trip to Iceland with two friends mid-September to early October next year. We are avid nature photographers and want to see the natural wonders of Iceland. We also want to camp throughout the whole trip. Do you have any advice as to where to find camping information? While it is possible to do camping, I have met people doing it, i Stayed in hotels and airbnbs, so I am sorry, i cannot give you useful info on this one. I hope nobody else has asked this and I am not repeating, but I didn’t see it! We love the blog and your tips are great, but we were leaning against renting a car for the sheer cost (we live in Mexico currently and the peso doesn’t seem to get us very far in Iceland!) However, you have some great points about the benefits! I was just wondering how much did your total trip cost more or less? I know that’s a hard question sometimes, but what would your best guess be?? Hi Kaitlin! Tough question, because it depends a lot on the season you are going there and your ability to organize and prebook everything. Also depends if you want to camp or to get hotels or airbnb. My advice is to prebook everything, because I didn’t and got everything maximum one week in advance (in August) when there were very few places available. It ended up costing a bit more than 100 euros per person per day. But, if you are going to camp, get a good car deal in advance and split the car costs with more people, it can get a lot cheaper. It really depends on the type of travelling you prefer. Did that answer your question? Thank you for the insights. I think most of your suggestions are on the cautious side. I am adventurous type. I will take a 2 wheel drive auto on those F roads in late October to early November, before the snow sets in, and most tourists have gone home. Of course I will be smart and cautious and not drive like a cowboy in a rodeo. I have planned the 7 day ring trip for days in details and rehearsed the entire trip over and over again in my mind using the internet advises and google maps. I am ready to tackle any problems; lodging, eating, weather, traffic, daylight, people, animals, and other unexpected situation. Also, I am doing the ring trip on a low very budget. My intention is to photograph as many tourist sites and landmarks as possible. As much as I would love to do off-road, we only had 2 weeks to visit the whole country, so we decided to do more “classical” route for this time. However, I am definitely coming back for more and will try to do 4 WD as well! Also, I’m not sure you can take a 2WD on F-roads, I think it’s not allowed, but double check before you go! Great post there! Thank you for some very useful and important tips. May I get your advice? My wife and I will be travelling to Iceland in Feb next year. Our plan is to drive around Blue Lagoon, Golden Circle and Snaefellsnes Peninsular. 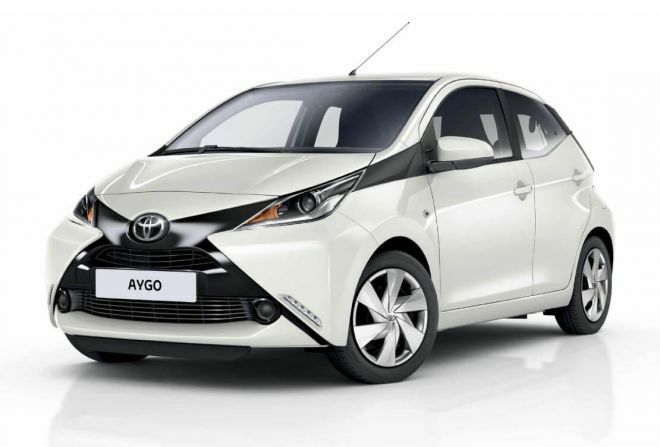 Is renting a Toyota Yaris sufficient? I worry about the snow and icy roads. Thanks! Actually this is a good question and someone has asked me before. The weather in February, given that it will be snowy as usual, is very unpredictable. I am sure extra measures are taken on the road around the Golden Circle and around Reykjavik but what everyone says to do in the winter is to take a 4×4 and be extra careful. You should look on http://www.road.is before the trip. And my advice is to take the local’s advice: ask the rental company. Hope this helps, enjoy Iceland, I think the Blue Lagoon in the winter should be a marvelous experience! We are going the third week of November. How long would it take to drive around the entire country? It will only be 6 days. What are some must do’s or see’s while we are there? I don’t advise to go around the country in 6 days. You will rush through everything and you will be driving and hurrying all the time. For 6 days I would suggest an itinerary which you can combine from several of my posts: a tour of the golden circle and the south of Iceland and the parts of north of Reykjavik. I would pass by Reykjavik for one hour maybe but I wouldn’t stay too long there. The city is nice, but this itinerary will take you to such amazing places! P.S. I noticed at one car rental place they offer 600km at no additional cost. I imagine we may drive much more than that. Do you know if any of the companies offer unlimited mileage? If not do you know what they charge per mile after you exceed 600km? Thank you for being so helpful. I love your page! I will try to give you an ample answer, as I had the same concern. The thing is, in 14 days of continuous exploring around the whole island we made something around 3-3500km. Which is an average of less than 250km per day. And we drove a lot. I strongly suggest to take an option that gives you a limit per day rather than a price per extra km after some certain distance. Even if they charge 50cents per km after 600km imagine what an extra 2500 km will do to your bill. On a destination where you explore so much, a 300km per day limit is reasonable, as you are also getting off from your car quite often. Still, if you just go around Reyjkiavik, 600km should be enough. But I really suggest you go around a bit! Thank you Yulia for answering both questions. I’ve been checking the terms&conditions @ lagoon.. What does this mean “A deposit equivalent to the expected cost of hiring the car.”..? How much money you had to put on the deposit during your trip? Hi! Good question. I think the terms and conditions are similar throughout the companies. Normally you don’t pay a deposit (at least I never heard of that), but you do need a valid credit card. We used a French debit card which allowed a (very) small overdraft and it worked. They need the credit card, in case something happens they would block a certain sum from it. But that’s all. Normally you pay just the rate of the car and whatever extras you got. Did this answer your question? Let me know if you have more! Hi! Thanks for the tips! I’m planning a trip with 6 people total, and we plan on renting a car. Would you recommend getting a larger SUV or van that can accommodate at least 7 people or renting two smaller cars? We are planning to go end of August/beginning of September. I’m concerned about luggage and comfort in taking 1 car, but I also don’t want to spend more than we need to by renting two smaller cars or have it be inconvenient with the group split up. Any suggestions would be welcome! Hi Liz! I read your comment and thought well, in the end, I would recommend two cars. I remember we were 4 on this trip and luggage was a problem, which led to comfort problems in the back seat. We did not have a SUV but our luggage compartment was generous enough, so I expect you’d have the same issues. 7 people, if you are going with children, it can work with one car, but if you are all adults, I would stick for two. It will not be hard to keep the group together, you can establish meeting points and the roads are long and straight, you can see other cars from miles away. Also, I checked a bit, with the links i provide, many times two SUVs give a better price than a car for 7, try that too! Good luck, enjoy Iceland and ask me if you have any other questions! Thank you for sharing these tips- I really enjoyed reading them…and that guy who picked you up looks cute! 😉 I’d like to add that you should always read the contract before you sign it. They should have an itemized statement about all that they are charging you for, so you can make sure you’re getting the deal you are supposed to be getting. Definitely read the contract before signing it! Thanks for the tips! Planning to drive to Iceland next year and this would be so useful! hi, thanks for the useful advice!!! but i found out that the link you gave to direct us to the car rental website is not accessible, i am not sure whether its my laptop’s problem? Which of the links exactly does not work for you? I have checked them and they seem to work. This was the most helpful blog I have come across till now! I am visiting Iceland in February’17. 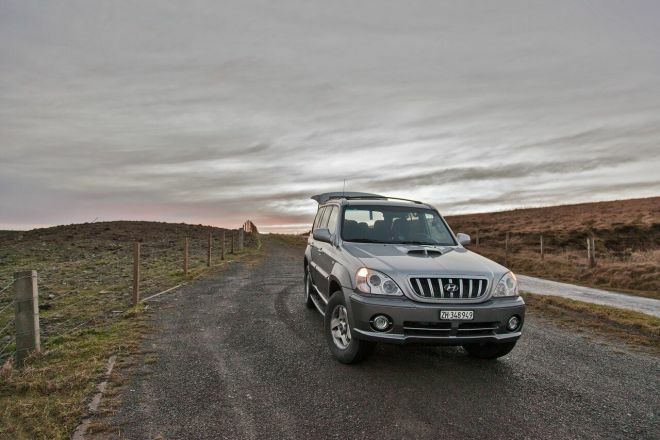 I am planning to rent a car from Reykjavik to Jokulsarlon, South Coast and back from 14th Feb upto 17th Feb.
We are 2 of us and I am thinking of going with “Mitsubishi ASX – 4×4 Diesel Automatic” on Lagoon Car Rentals. Please advise if this is a correct choice in terms of car rental agency and car type. Also will be extremely thankful if you could also provide a discount coupon code for this rental. I’m wondering how you got along with the Misubishi ASX as I was also thinking of taking that for our trip in March. Hi Rhea! If they are going in January, normally my advice is yes, rent a 4×4 because temperatures are low and the weather is unpredictable. Take a look on http://www.road.is and see the road conditions where they are going. Thanks for your tips! We rented our car using your link and were able to save money. I did fairly extensive price comparisons too! Can’t wait for our trip, your tips were so helpful to us to plan a Paris, Amsterdam, Reykjavik trip! 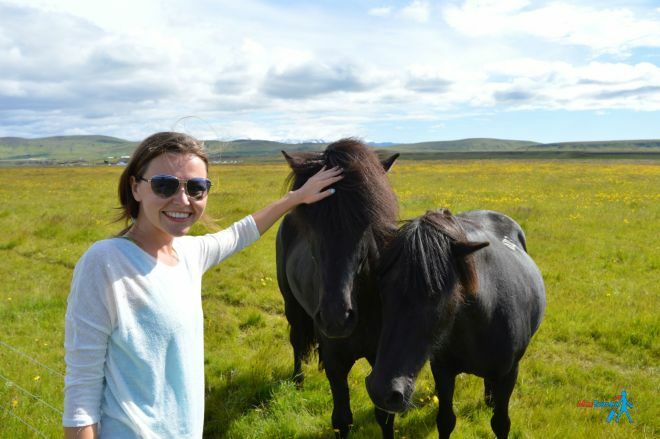 Check my other posts about Iceland (itinerary for example) to help you plan your trip! Hey I just want to know did you do the entire ring road ? Yes, check my other posts on Iceland, I have a lot of info on that! Did the 35% discount expire or is it still available? Because I don’t see any discounts when I try to book through the links provided, even after checkout. Also is it mandatory to get extra driver if two people are driving? I couldn’t see any discounts for 12 days of 4×4 SUV booking in Iceland. The price when I try to book through your link and regular direct link remains same. I did go to payment page and there was still no discount applied. Also do you suggest WiFi systems or GPS navigation is quite good enough? You’re website is amazing. I just wanted to thank you for all your hard work and determination to make it easy for us to read. Thanks so much Jeana, I really appreciate it! In fact, not many people understand how much work goes behind the scenes! Hello, Do you have or know of any coupon codes for Lagoon Car Rental? Thank you! Awesome article! I just clicked…took your advice on insurance and BOOM! Ready to go! Hi Thanks for all the good tips. My wife and I will be traveling to Iceland in early September. LIke others, we are planning to drive around the ring road and see different parts of the country. That means all of our luggage will be stored in the trunk. Is there any concern about vehicles getting burglarized? . I had absolutely no concerns with that. Iceland is a very safe country and. except the Golden circle, many of the places you will visit will not have many people, only some tourists like you. That said, I would not leave an expensive camera unattended somewhere on the table, but your luggage inside the car should be totally fine. Thanks for this amazing post, it is very useful. I am planning to go to Iceland in June for 3 days. As I am travelling alone I am going to rent a car to do the Golden Circle and South Coast. I was checking Sixt and other companies and I noticed that all cars seem to be petrol, is that the most used in Iceland? What did you use? Also can you give us an idea about the price of fuel in Iceland? Did you rent he wi-fi hot spot with sixt? I saw some companies offer this service. Our car was petrol, but I dont know for sure about the others. Gas is 195-200 krona per liter, petrol should be cheaper. As for the wi-fi, i did rent it and it was a great help for me as a passenger. Not sure if you will use it much as a driver. But it might be useful indeed! If I rent a car does it make sense to purchase the golden circle tour or is it better to drive on my own. I fly into KEF after midnight ( 1 AM on Saturday) and flyout next evening at (Sunday) 6:00 pm . Any recommendation of places to visit for a first timer in Iceland. I DEFINITELY recommend discovering on your own, especially if you already have a car rented. This way you will decide yourself how long to stay on each attraction and you can stop whenever you want on the way. For the route recommendation please see this post, you will find tons of ideas there! I enjoyed reading your article, and I found a lot of useful information for planning my trip on the Ring Road. Currently I am searching for a rental for the second week of June (I am a little late with my search, but better late than never 😉 ). My plan is to rent a small car like a Toyota Aygo and drive the ring road and sleep inside the car for 7 days. Is this something that would be possible? I am giving myself a very small budget but want to still enjoy the trip. I dont mind roughing it without a hotel or bed. Better late than never indeed! As I said, I did not sleep in the car, i stayed in airbnbs and hotels, but if you are find with having no bed for a week, I see no reasons why not. if safety is your main concern – it is a very safe country! Let me know how it went at the end as many readers are asking me this question! I wanna know how you travel full time ! like…How do you do it?? Financial wise. Do you mind sharing what hotels you stayed at during your drive around the circle? I dont mind of course! Thanks for doing this article. One question. My family and I are staying in Reykjavik and are renting a car to do some exploring. Looking to go to Borgarnes and do settlement center also. Any towns in West Iceland that you can recommend more like a quaint village type and able to explore? Great information. I was looking on the SIXT website and didn’t see anything about 24/7 roadside assistance. Do you know if they offer this and if is an additional cost? You should double check that durectly with the company, but I would assume they should have a phone you can call 24/7 in case of emergency. Thank you for this article!! My husband and I are honeymooning there in September for a week and would like to rent a car through the links you provided. I’ve never rented a car before, so I don’t want to be scammed into buying unnecessary insurance/protection packages. Which ones would you recommend adding to the rental? We won’t be off roading. Just hiking, water fall, black sand beach, etc. What an amazing honeymoon destination! i think the sand and ash protection I have mentioned is important. I don’t think you need more than that! TIP: if the GPS is not built in the car, you can get your own GPS device before and save about 10 EUR per day this way (you can even download some gps maps that work offline on your phone). If you need internet, you can always buy a simcard, no need to upgrade for a personal hot spot. Can I rent a car in Iceland with just a debit card and not a Credit Card? yes, you should be able to do that, but you need to have enough funds on your card. Please choose unlimited mileage as an extra option (the discount applies to it too), there is an option do to do that, I also specify it in the article. Anyone else having difficulty accessing the links to sixt? What links in particular are causing problems for you? Everything seems fine to me. Hi i am going Iceland at the very end of October, only problem is i cant hire a car from Reykjavik Airport as i dont get in til late.do you have any advice? The airport transfers for 4 of us is about £130.00 return which equates for 3 days car hire on the link you gave. Hi Mark, thats a very good question! If you do not come too late, you might want to call them and ask if they can make an exception for you and wait a little bit. If you arrive very late, one of the possible solutions can be staying in the airport hotel overnight. This way you do not need to go anywhere, you can rest right after your flight and start your trip early morning the next day (they open at 5 am). Let me know what you decided at the end! Great advice, thank you for the recommendation! Hello, and than you for this information and I think it is very helpful. I am going to Iceland in February 2018 and am looking now at my car rental options as I’ve already booked my flights. I think I’d like to rent a 4×4 but I don’t see that SixT has any 4WD options. Do you know of any other car rental agencies that offer 4WD? Also, I am going to drive to and stay in the north, probably in Dalvik. I have no interest in the major touristy activities unless it’s an absolute “must see”. Can you give me any advice on any “must sees” or places to avoid? Also I think we’ll probably want to stay near the airport the day we arrive to rest up for the drive north. Where is a good place to stay there that won’t cost us a ton of money? I know this is a lot of questions for one comment, so I apologize for that but thank you for any further information you can offer. no worries about the long comment, i appreciate it when people ask questions in comments so other people can see it too! You are right, Sixt used to have 4wd, now I dont see it anymore on the site. Try AutoEurope, it will give you many cool 4wd options. As for the hotel recommendation, I think Ace Guesthouse would suit you best – it is one of the cheapest, just 10 mins drive from the airport and the reviews are fabulous! Hi Yulia. nice blog and thanks for sharing your experiences and advice. Regarding saving on buying a GPS in advance instead of renting, I am not sure how to load Iceland maps. For example, buying a GPS on Amazon in the USA will have a GPS preloaded with USA/Canada maps. how do i get iceland maps on there affordably? Any tips appreciated. Thank you for the most interesting post and taking the time to answer all the questions. I went to a conference in Iceland 4 years ago and then stopped off for 2 nights last year on the way back from Europoe. Iceland is so amazing to visit from the countryside to talking with the people and so much more. So no questions but just a big thank you for sharing your insight. I rented a car from another company on my two night trip. I was nervous about all the possible problems but rented an older, beat-up car that was in good enough mechanical shape. So I didn’t have to worry about scratches (big dents already there). Something special about driving around the surreal SW countryside in a manual transmission car with not many others around (early November). Thanks for your informative website. I have an early flight leaving Reykjavik very early in the morning – do rental agencies have 24-hour returns or key-drop returns? Great article and very useful information which I will use when we travel to Iceland this October. You are welcome, enjoy your time in Iceland! We are also planning to visit Iceland this year around July timeframe. Your article is very descriptive and helpful for all first timers to plan their trip wisely and carefully. 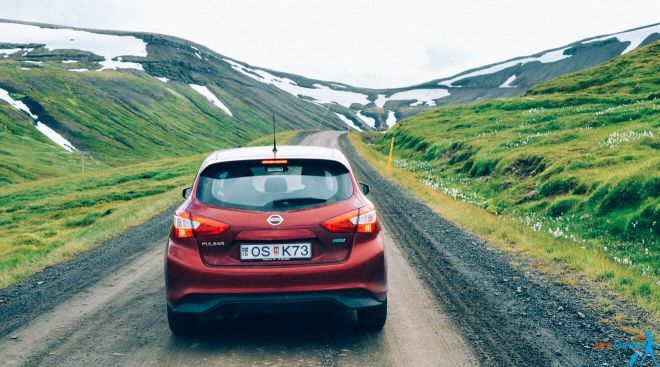 Car rental links and necessary items to carry can help further in reducing the cost and planning trip more economically, Really liked the link and will keep in mind all the suggestions being in Iceland. Have a great trip, have it was useful! As I’m searching for the best place to rent a car from, it looks like there is a $2500 USD hold placed on credit cards during the rental period. Is that true of all rental companies in Iceland? Is that typical for car rental? I am nervous about giving a rental company access to that much of my money. Thanks! Yes, it is typical for car rental companies to put a hold on some sum and they unblock it once you return the car. The sum varies from company to company and you might find something without the hold, but as i said, it is a standard practice. I agree, 2500 is not a small sum, in this case you might want to try a couple of more companies and see which conditions do they have. If I understand correct, you are renting a car in one place and returning it to another one, right? Depending on the car rental company, they might charge a fee for that, in your case it is 6900 ISK. by the way I am going to Iceland next 8th of may, would it be nice or cold? which destinations are most likely needed to be visited and which are not related to this time-frame of the year? May should be not as cold as before, but I still would not hope for a very warm weather in any case. I have been in August which is considered to be the warmest month to visit and I would still need all my layers sometimes, it is very unpredictable there, please check the packing list suggestions above in this post. As for the recommendations on thins to visit, I have detailed day-by-day itinerary, you can check it out here. My wife and I are thinking about taking a vacation later this year and renting a car for the trip, so thanks for the tips. I like your point about how, if it’s winter, you might want to get studded tires. I don’t want to take any risks on the icy roads, so I’ll be sure to ask about this. Ms. Yulia, Is it safe to sleep or have an overnight anywhere like just camping instead of getting a hotel? Yes, Iceland is one of the safest countries in the world, it is safe staying in a camping area, no worries! Visiting Iceland end of June. We will be renting a car. Is having a valid US license all you need legally to drive a rental car there….or is an international license required? Also, regarding using my cell phone. Is there any reception there? Or should I just download everything I need beforehand to use offline. Thanks for your suggestions! 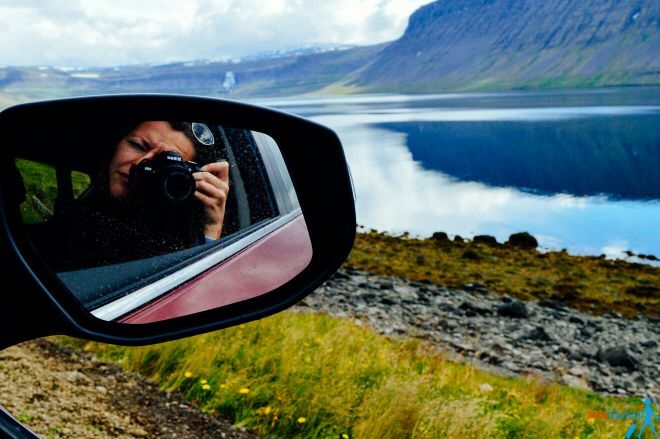 Your state-issued drivers license should be fine for all car rentals in Iceland. Simple question: drive on the left side or the right? Also are the police there friendly towards tourists and a bit unfamiliar with Iceland laws or are they strict and unyielding? What car would I need for Ring Road/South Iceland for October/fall? I am not planning on going off the Ring Road route. How much is parking and how many tolls are there on the ring road? Do I need SAAP insurance or studded tires? You will be fine with a 2WD (just like #2 in my comparison), you can check the rates here, in my experience this was the cheapest. As for the tolls, I think there was one in a tunnel to Reykjavik coming from the North, I cant remember any others. Parking is free near natural signs like waterfalls etc, you need to read the signs carefully in Reykjavik and Akueri, it will be paid in many places in cities. (i recommend asking your hotel/airbnb for a good free parking spot). Yes, I recommend getting full insurance, there are gravel roads you will need to take sometimes. I wanted to know if you think it’s worth it for me to get a rental car….. I will only be in Reykjavik for 24 hours and the shuttle bus to my hotel and back cost $80 already, and the rental car for 24 hours is the same price. I’m just worried if it will be confusing and difficult for me to drive around??? I’m from the US and I drove around in Barcelona once, and even with GPS in English it was still very different and super confusing. I don’t know if Reykjavik will also be confusing or not??? Yes, in this case i think it is totally worth it for you to rent a car. It is not difficult to drive around, the road conditions are perfect, there is hardly even any traffic and the drivers are polite, I would recommend it eve n a beginner! make sure you have are parking in the right place in Reykjavik though (it is clearly marked usually – if it is free or how much it is). If you are staying overnight, ask your accommodation if they provide free parking for customers. Your blog on Iceland is exhaustively informative, the best I have come across so far. Which are the hotels, hostels, farmstays etc you stayed in during the 14 days. sure, here is a post where you can book all the hotels on the itinerary literally in minutes (it is also sorted by price for your convenience – https://misstourist.com/icelands-best-hotels-an-easy-way-to-book-accommodation-before-your-trip/. Also, if you want to know what are the must-packs, here is my All season Icelandic Packing list. One of the first things you’ll likely hear when you rent your vehicle in Iceland is to hold onto your door when you enter and exit your car as strong winds have been known to blow off doors! It’s important advice to remember as insurance typically doesn’t cover you in this unlikely event. If you are forgetful though, don’t worry as there will likely be stickers inside of your car to remind you! I had been thinking of a 3 week trip to Iceland in mid to late September- encompassing some highland travel / car camping and the full ring road (covering all of Iceland) – I know I need 4×4 for f-roads and highlands but the rates are between $4000 to $10,000 canadian for that long a period deoending on vehicle. Would it be feasible to use a small 2wd camper for 2 weeks for the ring road — then swap out for a 4×4 large vehicle and head back out for the highlands for the last week or 3 or 4 days? 1. renting a 2wd for the whole duration of the trip AND renting a 4×4 in that place. In this case you will overpay for the couple of days or 2wd will be unused, but usually it is much cheaper than paying for the different city return fee. 2. renting a 2wd car, leaving it before your reach Reykjavik (probably Akureyri), renting a 4×4 car and leaving it in Reykjavik. My guess is the 2nd option will be more expensive because usually car hire companies charge high fees if you return a car to a different city. 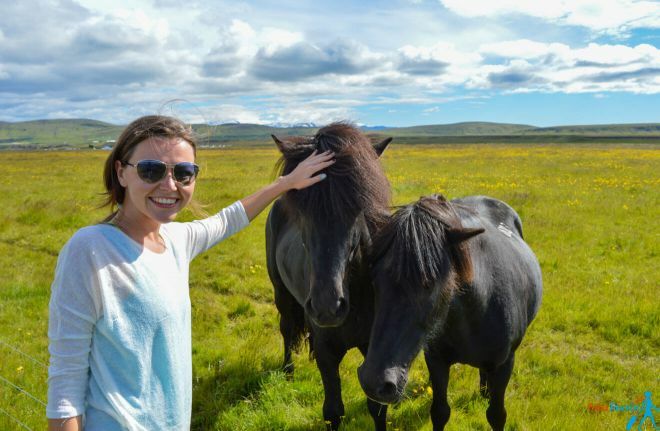 Do you recommend a rental car for the Golden Circle trip or should we take a tour? We can not find a tour that gets us back to a hotel before 4:30-5:00 and I understand it is a 45 min drive back to the airport. Well are supposed to be at the airport by 5:45pm…. Can you recommend a hotel around 200.00 US dollars? In your case, I would definitely recommend a rented car because of the endless flexibility and freedom it offers! Regarding the hotel, I recommend either CenterHotel Plaza, Eyja Guldsmeden or Heida’s Home – all 3 of them have great reviews, they’re available for your date and they have fabulous reviews! If you need more suggestions, I recommend my article about The Best Hotels in Reykjavik!